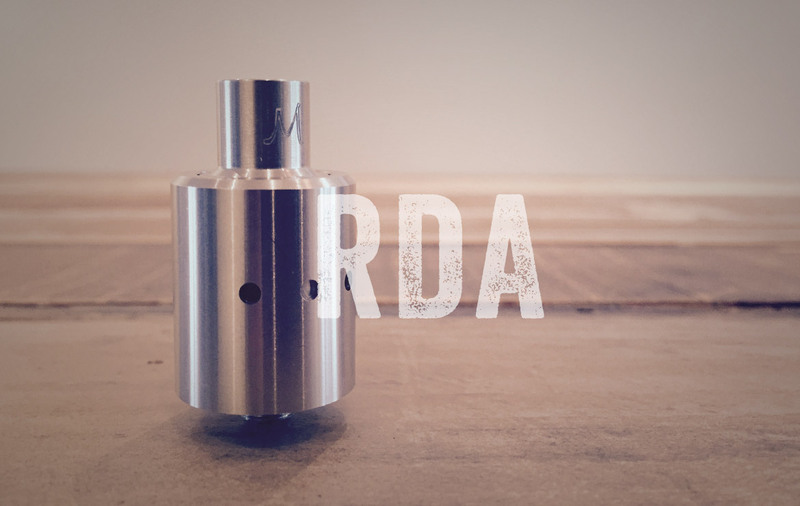 Named one of the top flavour chasing RDAs of 2014, the Marqui is one tasty RDA. It has a condensed vapor chamber and airflow that is targeted directly at the coils that lead to good flavour. But it’s hard to build (vertical coils & wicking), this is not an atty for the beginner. It works well with a single coil which makes things easier, when building dual coil you need to mirror your coils (1 wrapped clockwise the other counter clockwise) which takes getting used to. Really the challenge is in learning to build and wick vertical coils, and in our opinion vertical coils seem to go through wicking material a lot quicker, so you will be changing your cotton more frequently (and it’s hard to continually reuse your coils when wicking vertically, puts more pressure on them which leads to damage faster than conventional horizontal coils). This is one of those atty’s for the Hobbyist, you need to enjoy(have patience) the challenging build in order to fully enjoy it and reap its rewards. The Marquis does have a killer centre post design that helps trap & hold your wire and also comes with metal posts to help assist in placing your coils that are design features unique to this atty. It’s very well thought out, but in the end just not convinced vertical coils are worth the effort and make a difference in garnering the best flavour.